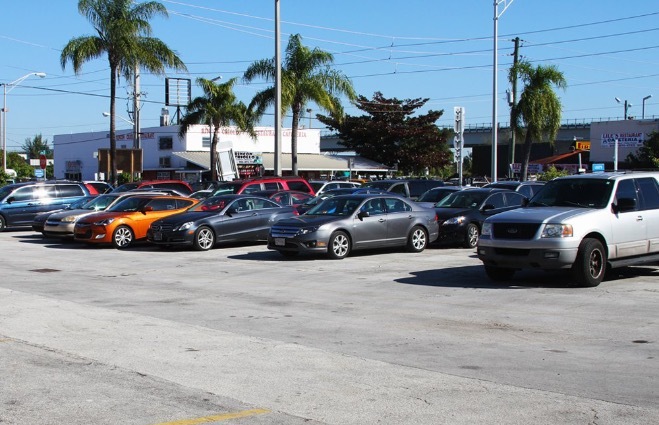 This Parking Lot is Less than 5 minutes from Miami International airport terminals. Park To Travel values their customers' time! Upon Arrival: Present your InstaPark confirmation to the attendant. Please call 1 (305) 526-2200 to request a shuttle to take you back to the lot. The reason for the 4 stars instead of 5 is because the place was very difficult to find. I was looking for "instapark" but there was no "instapark." I finally found the place by address. By the way, it's "Park to Travel." The other reason is when I called to be picked up, I was told the shuttle was already at the airport. Twenty minutes later when I called again to find out where the shuttle was, I was told it would be there in 5 minutes. It was longer but it eventually came. Other than that, it was a good experience. I wish I'd paid for the car wash. My car was out front, backed in, so all I had to do was pull out which was nice. I would definitely recommend them and I already have - my boss asked me who I used and I gave them your information. Thank you. This was one of the best services I have ever had. I will your service again in the future, and I am letting my family and friends know about you also. Courteous employees. Great service. Very reasonable price. My first time using your company. Will come again. Thank you. We had a great experience. We were transported to the cruise terminal as soon as we arrived. The staff was extremely friendly and very helpful. Upon our return it only took a phone call and the shuttle was on its way. When the driver returned us to the lot all three of our cars were waiting for us. Checkout was quick and easy. This was a great experience that saved me over $100. Highly recommend Instapark. Difficult to find the place. I paid extra to have covered parking but got back to a dirty car with a lot of bird droppings. Never again!!!!! I give this MIA parking lot 99/100. -1 points for being too big hahaha, I don't want to have to walk all of the way across the lot!! hahah, yes I'm lazy. I am very excited about finding my new regular park n fly! You guys have such great value, but a professional car wash. Very cool! Glad that I finally got the chance to park with you guys!!! such great service! I was running very late, but lucky for me, the shuttle bus was there when I got there! I hopped on quickly and got to my gate on time!! I would give your parking lot a great rating!! I had no idea that there was indoor parking until I actually arrived at the parking lot... I guess I didn't look things through as thoroughly as I should have, but the staff made it so easy for me to change my reservation. Just in time for me to catch the shuttle bus!! OK NOWWWWW I understand. My daughter's mother continuously tells me about you guys and how you know what you're doing when it comes to customer service!! I love seeing others run business well since I'm a business man myself. SO GOOD. I'm glad to have had the chance to park with you! I'm so excited to park with you guys! I have heard such great things from friends and family members... but have never tried it. I was stuck in my old ways I guess. I was at the same lot for almost 20 years until I realized I needed a change from the bad service hahah (I hope they don't read this comment)... haha. You guys were great!! I think this is honestly the cheapest airport parking lot near MIA. It is way too expensive sometimes to park at the actual airport... I mean, obviously that's the dream since there is no middle man, but for now you guys are great. Everythings coming up Park to Travel!!! hahaha, this is a huge lot that I don't think many people have discovered yet,... but once they do, you are all going to be very busy! JOY TO THE WORLD!!! Christmas parking is less than $10! Every year I have to find a place to park my car while I go and visit family. So happy you guys are good quality and are inexpensive! My kinda deal. I don't think I'm going to be going back to any other airport parking lot anytime soon. If I'm in any other cities, I always make sure to find an instapark! I'm really happy that my family and I decided to park with Park to Travel! Everyone was very professional but also very warm! It was nice to have that balance when it comes to customer service. This is the cheapest MIA parking lot you're going to find! Make sure to park here or you're considered a fool in my books!! haha, there is really no reason why you shouldn't. really glad to have chosen you guys, really cool lot with a CAR WASH!!!!! Choosing a long term parking lot is quite like choosing a day care for your child. You want to make sure it's a safe place where things are done properly. I made sure to take my time choosing an airport parking lot up to my standards. I found Park to Travel not long ago and have already used you guys a few times. It feels good to feel comfortable leaving my car with you. I love the fact that there is a lounge here and a car wash!!! I got my car washed for quite cheap, and when I got home they hadn't just cleaned the outside but they also did a complete clean sweep to the inside as well!! Thankful for you guys! Wait, a car wash in an airport parking lot? Now I've seen everything! I have been airport parking at the airport for years and years, and have just realized that I can save a ton of money if I just decide to park off of the grounds and take a shuttle over. I don't mind at all. It always feels good to save a few bucks! Everything went well. didn't have to wait in any lines, things were fine. I have to drive a few hours to get to the Miami park to travel and after a long drive it's always nice to see friendly faces. It always splits up a long and agonizing travel day! The 10 minutes I spend there are always the best 10 minutes of my transport. Plus I love the shuttle bus driver. He's hilarious!! great guy. Whenever I hit up one of your instapark locations I am always blown away by how nice the parking lots are. A lot of them are set up super nicely. I also love when there are car washe's in them!!! This Park and Travel is so wonderful because of the car wash. Who doesn't love coming home to a clean car??? It feels great. I will for sure continue coming back! I've lived all over the U.S. and I've been airport parking for some time (as you can see I'm an explorer)... But anyways, I'm so happy that I found instapark. There are so many legitimate parking lots within the company as a whole that I never know which one to pick (especially if there are more than 1 in a city)... such great work on these parking lots. I am always super impressed with the work done by these young people. They always do a great job keeping my car safe! I feel like royalty when getting on the shuttle.You get your bags taken for you, and don't have to lift a finger!! So awesome! It's weird... I know I'm getting older because I'm noticing how great a parking lot is... A PARKING LOT!!! hahahaha. I remember when parking lots were so uninteresting to me, and now that I'm a bit older I can see how good you guys are. My parents and I went on a trip lately and parked with you. They told me to write a review. They really enjoyed the lounge and shuttle bus! In and Out, If that weren't already the name of a business, it would be great for you guys. You always get us in and out so quickly! Best airport parking lot service ever, seriously... I love instapark and I love Park to Travel.. Staff is really, really fantastic!! The whole checkout procedure was very easy and nice that you donâ€™t have to fumble with cash to pay right then and there, not only for yourself but for the sake of holding up a bunch of other people trying to leave. Park To Travel is the only lot Iâ€™ve been to with this kind of innovation to their service. Great idea and had a very good experience leaving my vehicle parked here! I came into your parking lot a few weeks ago with my husband, and let me tell you... we were BLOWN AWAY by your incredible service. It wasn't until after we arrived at the shuttle stop when we wanted to get our car washed and you guys made it so easy for us. Thank you for everything! 8.95$ a day is a very affordable rate for being so conveniently located and offering a shuttle and all. My family was happy to use Park To Travel for a hassle-free way to get to and from the airport. The shuttle was very nice, the driver was funny and the seating was very spacious so even if there's strangers piled in you donâ€™t feel uncomfortable. The bags were all handled by the driver too. He was funny yet professional. Happy service and quick service is a great combination. Thatâ€™s what we got from Park To Travel! Off to Dominican we go! Woop woop. Such a vast number of parking spaces, oh my goodness was I ever shocked when we pulled in yesterday! Huge parking lot with lots of help. Good On you guys!! We will certainly be comin back for even just a wash. Parking was easy. Just gave them my credit card so that when I checked out it was fast and easy. My flight dealt with nasty weather coming back so Iâ€™m glad the Park To Travel was so smooth. The shuttle picked me up from the arrivals gate and got me right to my car. Coming to this parking location is my kids favorite part of any of our trips. The girls here are great with children and always make time to play with them in the lounge. My wife also enjoys the lounge. It is always kept nice and cool. Wonderful for those hot and humid summer days. So glad that we came across you guys!!! We will obviously be returning. I thought it was pretty much impossible to get a parking space here for less than $12 a day.. This is a great price and to go with it, the service is great as well!! Simply Marvelous ! Itâ€™s crazy how many cars they have in this thing! I guess because itâ€™s long-term parking they have some extended vehicle stays, but man they work fast even with a lot going on. Much appreciated service since I was in a rush and stressed with travel like so many others that they probably deal with. Good business here at Park To Travel. Everyone was saying the same things about this place, so I had to come in and check it out for myself. I'm so happy that I could experience it first hand. You were all very nice. I will be returning. The other day at Park and Travel I accidentally opened my door on another in the parking lot. It was a huge accident and I felt terrible. I don't even know how I did it with the spots being so big. I told an attendant right away and even though I was angry and embarrassed, they were very good with me. We dealt with everything we needed to and I was on my way quite quickly. You all get a 11/10 for great customer service. I'm glad that the car I damaged was able to be fixed. Felt real old-fashioned but also modern, don't know how else to say it but u are doin a mighty fine job with your business !! keep it up and I will keep coming by. I thought I resurveyed parking for Cruise parking.But was given the address to air port parking. I would not recommend instapark to anyone. You guys really know how to give your customers some TLC!! hahaha. The shuttle was going to be a few minutes so I hung out in the lounge. I'm not sure if many people know about it because there weren't many others but you should let people know because they would be very happy to sit in there. It was quite wet from the rain, but the shuttle stop is covered which made it a bit of a better day hahahaha. I had quite a good time on the shuttle as well. SPoke to a couple from out of town. really nice people. Wow, I had such a long day and I was not looking forward to dealing with getting in my car and heading home in traffic. Thankfully I left the Park To Travel very quickly, probably because of them just having my information already so that I could just leave without being held up at the gate for payment right then and there. I thought that was a smart idea! Thanks Park To Travel! EXCELLENT. I would say to anyone flying out of Miami to consider the Park To Travel lot. Canâ€™t beat 8.95$ per day and they offered free shuttles which was sweet. They always have space even when they are very busy so no worries there. 2 thumbs up :-). The very nice (and very handsome) attendant helping at the shuttle stop made my day. Not only because he was cute, but he was also very kind! He helped me with my bags so I didn't have to lift anything :) So nice. The checkout was easy. My flight back was delayed so I was eager to get away from all the craziness. And that I did. Park To Travel got me in quick and I was able to leave even faster. No messing around with these guys, they are the best at what they do. Wanting to give these people a good word for the great work they do. Once you get to Park to Travel, it's smooth sailing from there my friends... Easiest parking experience I've ever had - hands down!!! Crazy quick, the parking spots are quite wide and the staff are just wonderful. I wasn't expecting all of this for only $8.95/day!! My family and another family were travelling together so we had to wait in the lounge to meet up. I havenâ€™t been to a park n fly style lot with a lounge before this so that made for an easier rendezvous. The shuttle fit both of our families at once with all our luggage, which I think was 8 people, with room to spare. Thanks Park To Travel! Park To Travel is competitively priced and gave me a great option as far as leaving my vehicle in a trusted location and to be driven to the airport with the complimentary shuttle service. They have lots running all the time back and forth so hardly any waiting time. Great operation here. Will be recommending to everyone! These people knew what they were doing and obviously are trained well in customer service. I was very happy to give them my business and will be doing so again next time I fly. Went out of their way to make sure I got on the very next shuttle even tho I was searching through my car to grab a few last things. The daily rate varied a little from what we were told, and were explained that it was because of the holidays. Not too worried about that because the service was great all around. We had the same shuttle driver there and back and he was very nice. Helped with our bags and we got out of the parking lot without a hassle thanks to the cashless checkout. Oh man! The rain is crashing and the winds are howling, and thankfully Iâ€™m bundled up in the Park To Travel lounge. These poor employees are running around in a hurricane I swear! They still have smiles on their faces and are working quickly to keep everyone else dry and on-time. Thought that I had to write this because of how thorough the service has been despite the terrible weather. Not much to say other than how smooth the whole process was. 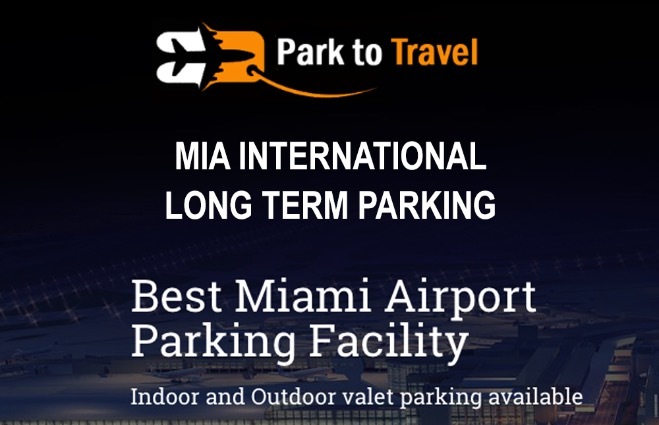 Iâ€™ll be using park n fly services in the future, and whenever itâ€™s out of Miami International airport Iâ€™m going to use Park To Travel again. The parking lot looked so busy but I was so thankful with how quick the men at the gate worked to get people through and taken care of. Park To Travel knows how to run a good business! for 8.95 and a free shuttle I was very satisfied. I was in a massive rush to make my flight and very stressed. The lot was extremely busy as it was peak hours of the day but I was relieved to see the cars filed in so fast! The cashless checkout made the process easier and with the volume of customers these people handle each day Iâ€™m not surprised to see so many great reviews. I would use this service again. Makes for a nice trip when you can be worry-free about your vehicle and where you left it. The sheer volume of business that Park To Travel does and the amount of people and cars that are there made me feel that my vehicle wouldnâ€™t be â€œdesertedâ€ and safe from mischief. I have the biggest truck you've ever seen and your parking lot allowed oversized vehicles for only 3.50 more per day. This is actually amazing. No one ever takes my truck because its so darn big!!! I almost got lost in the parking lot it was so huge! I take that as a good thing tho cause it means you wonâ€™t be turned away for the parking lot ever being at capacity. Staff were great in directing me to an open spot, I used the lounge while waiting for a call from work before departing. Lounge was clean and surprisingly quiet for such a busy lot. I guess it was a space where people looked forward to taking a breather like myself when I was waiting for my friends to arrive. Iâ€™m glad there was a lounge cause it was raining pretty hard that day. It was a nice touch for sure. Iâ€™ll be telling people to use this lot in the future. 5/5 parking, and the shuttle there and back was awesome too! The drive was quick and I must say the driverâ€™s taste in music was quite calming.. especially for stressed travellers like myself , lol. As you can imagine there are very busy people with tight schedules to adhere to in this environment. Let me just applaud everyone at Park To Travel because they UNDERSTAND thisâ€¦ Lol. It isnâ€™t a sunday stroll in the park or a meet n greetâ€¦ itâ€™s an airport parking service and just impressed by how quick and efficient the parking process and shuttle were. Nice to see people working so diligently. The shuttle was great, it picked me and my family up right after parking and the driver hauled our bags into and out of the shuttle as well. The workers at the lot were quick with their jobs too. The other day I had a fall at Park and Travel. The concern that rang through that parking lot could be heard for miles. glad I was okay, just needed a little help up, and lucky for me your staff was there. wonderful kids. The employees were very professional and while they worked quickly they made sure to cover their bases with meeting our needs and answering our questions. I was a little confused by the cashless checkout but they cleared it up by saying they just charged our credit card upon us leaving the lot. don't even think about going to another Miami airport parking lot... It's such a waste of money when these guys do such a great job as it is. There is also a car wash which is a huge plus!!! Whenever I come here I get my car wahsed and it always looks so great! GREAT OPERATION HERE. 5/5 would definitely recommend to anyone travelling out of Miami for short and long-term trips. Not many airport parking services can compete with Park To Travelâ€™s rate of 8.95$ per day while matching its great service. Having used park n fly many times I had one of my best experiences here. Have yet to actually see a lounge in one of these things so that was nice to stay in while waiting for the shuttle. First of all, the parking lot was huge. I donâ€™t know how it could ever get full ha-ha. With it being so large I was a little worried the shuttle would never see me, but I guess they do this for a living.. it came by quite quickly and Iâ€™m on my way to Miami International nowâ€¦ see you in a few week, Park To Travel! Huge parking lot!!! my word. I wasn't expecting too much especially with how low the costs are... but I was very surprised with how big the lot was! The cashless checkout made for a smooth exit once we got back from our trip. Our rates were a little higher than we thought it would be but I suppose it was because of the holidays. Still, we really appreciated the service. It is so wrong to charge people up the *** for a parking space. THANK U FOR BEING DIFFERENT THAn those other parking lots!!! SO much better than I could have ever expected. thebomb.comâ€¦ You guys should seriously consider re-naming your website to that. Park To Travel is such an interesting parking lot. There are SO many parking spaces that everyone flying out of MIA would probably be able to park there. Drop off was fast and so was pick up. Clean car, no problems. EXCELLENT price! Probably the best you'll find close to Miami Airport! The best and quickest shuttle bus service in the area hands down! So very pleased with the customer service I got at MIA Long Term, and that alone is what made me decide to park here every time I'm flying out of MIA. They went out of their way to make sure I had everything I needed and felt comfortable, so they'll always get my business! I always worry about leaving my car outside exposed to the elements, so seeing that they had an indoor option was a real life saver! I paid the extra $13 to have the car wash service while I was gone and they did more than just the outside. My whole car was basically like new when I came to pick it up and there's nothing like hopping into a clean car and heading home after such a long trip. Bravo! Shuttle bus service was so fast and easy! The driver pulled up and was really nice and was also so willing and ready to help me get my bags onto the shuttle so I didn't have to myself. They were pretty heavy so I loved it. All of these for just $6 per day? Such a great deal and I'm glad I cam across it online! Valet service such a great feature to have in this lot! And anytime I don't have to carry my own bags is fine with me. Will be parking here again for sure. This lot is perfectly placed near the airport and it makes it so much easier to be close by MIA airport so the shuttle bus ride only takes a few minutes. I was so convinced that my car might not fit in this lot (it's a really big SUV) that I actually called ahead to check if it would! They told me they have the space for it and to bring it in no problem, so I booked online and they pretty much took care of the rest from there! Soon as I got there they helped take my bags out and parked my car for me somewhere in the lot for me. When I got it after I got back, it had no scratches or dents in it which was great because other lots I've parked in there usually is! Really good service here! At first I wasn't sure just how safe the lot would be and I had to see for myself and ask a lot of questions before I could know for sure. When I pulled up the valet was nice enough to get my bags and park it for me, but I was asking the other attendant a whole bunch of questions. I wanted to know how they went about keeping the lot secure and the staff was so gracious to show me all the different safety features! They had a security guard on staff, they had tons of surveillance cameras, there were portions of the lot that were fenced in and they had other staff that were trained to keep an eye on things to help the security guard out too. After that I felt way better about leaving my car here knowing that where were so many things in place to keep it all together. They've also never had any issues in the past and being that close to the airport, most people that would tamper with cars are basically deterred from it anyway which ends up working out perfectly. Can't really beat $6 a day! I haven't found a more affordable parking options anywhere in Miami besides this one! Definitely the best in the city. Shuttle bus was excellent and got to the airport really fast! I got some amazing customer service here and I must say that the team at MIA long term are all really great and they make the lot what it is. There are plenty of features and things about it that make it great, but it's nothing without a staff that really cares about what they're doing and cares the cars they have in their lot! SO happy there was indoor parking too! Didn't have to leave my car outside because I knew lots of rain was coming! Coming back to pick up a clean car, that was ready and waiting outside the lot when I got there by the way, is probably one of the best feelings. The people who work here do a really good job of making this a full service experience and that kind of service is what makes people come back. That's why the next time I fly out of MIA later this month, this is the same great lot I'm using! I've had a lot of bad luck with airport shuttle services so to find one that had me at my destination in just a couple of minutes was a welcome change for sure! Pricing here is perfect for anyone trying to stay under a budget, since it's not even 10 bucks a day. It's so great! Everything about this whole process was honestly so seamless! When I booked my spot online, I just had to put in the dates and times I wanted to arrive and leave and it was pretty much done after that. I got there and just showed my receipt and right away the valet attendant took my car to where it needed to be parked. Another attendant checked me into the lot and that was super efficient and fast too. Basically I got to the lot at 10:15 and was already at my terminal by 10:30. The entire thing is just so easy and the staff makes it all happen which is awesome. They definitely put this parking lot in the best possible location, because of how close it is to the airport! Such a good lot and the best one at this price and this distance from MIA. Wanting my car to be safe was my main concern and this lot did a perfect job of making sure that happened. They had cameras, security and more to make sure I felt totally comfortable to leave my car behind. I feel like I asked the staff so many questions about how everything was going to go before I finally left my car because I needed to feel okay with leaving it before I got to the airport! I didn't have much time before the shuttle got there, but I was able to get enough information where I didn't feel weird about it. They were really gracious about answering all of that and not making me feel annoying for asking so many questions. Shuttle bus was a smooth and fast ride! Driver was really happy and said he hopes I have a great trip. It was so cute! Customer service here was so good and that's exactly why I've been telling everyone I know about this place! Everyone about this place was great but the staff really went above and beyond to make the experience a good time. Superb lot right here! So great that they had a covered parking option! Saved my car from the heavy rain that ended up happening when I was gone. I knew I didn't just want it sitting outside so I made sure I requested the indoor parking instead and they had no problems accommodating me! The shuttle bus to the airport was the icing on the cake because it was so quick and got me from my car to the terminal in a matter of minutes. I pulled up, got my car parked, got checked in and into the shuttle and then to the airport in 20 minutes which is basically unheard of around here! It went so much smoother than I thought it would because of other places I've parked around here that I've had a bad experience at. It was so much better this time and I'm for sure parking here all the time from now on. Best lot in the city for sure! Phenomenal price at this lot, I honestly can't complain at all! One of the best parking lot services I've ever had and used! For only paying $6 a day, I didn't really expect this lot to have valet parking but they did. In a city like Miami, you usually pay so much more for that but they found a way to work it in without charging an arm and a leg for it. The service was really great too! I just pulled up and a valet attendant was right there at the entrance waiting to take my car to be parked and they had no problem getting my bags out for me either. I was a bit worried about leaving my keys at the lot but once they explained to me why they needed to do that I was a lot more comfortable with it and I didn't worry not once while I was gone. I didn't realize just how close to the airport the lot was until I got into the shuttle and was at the airport in mere minutes! This is the best bang for your buck in terms of parking! Really good option here! Such a safe parking option! This place has cameras and security so I knew my car was going to be perfectly fine sitting in the parking lot. Pricepoint here is PERFECT and super budget friendly. Can't complain about a single thing here! The shuttle bus pulled up right to where I was already standing with my bags and I didn't have to go to some weird designated pickup spot to get on it. Also, the driver so nice and helped get my bags onto the bus! Overall it was such a cool experience and really got my trip off to a good start. All of the staff provided me with exceptional service and that's something I think needs to be recognized most definitely. They totally went out of their way to make sure I was comfortable with everything, make sure I knew how things were going to be and make sure I felt safe about leaving my car there. That's hard for a lot of places these days but they were really good at putting me at ease. Parking here again in a few weeks! Really a great lot! So glad I got the indoor parking! This lot is fantastic! Very glad I went with the car wash option because it was so great to be able to come back from my trip and my car already be clean when I got there! Shuttle bus service was so fast! Driver helped get my bags in and I was at the airport in less than 5 minutes, it was perfect! Best price I've seen so far for any of these airport parking lots and that's exactly why this is my new go-to lot! REALLY great lot here! Valet service was so perfect! I was so happy to be in and out because I knew I needed to get checked in to the airport early enough so I had lots of time to settle in and then check in and all that jazz. From my car to the airport entrance was maybe 20 minutes, which is exactly what I was going for! Was a little worried at first because I wasn't sure if they were going to be able to accommodate my SUV but I had no problems seeing a great spot and enough room for them to park my car without any issues. What happens with cars as big as mine sometimes is there's space in the lot itself but the spots are so skinny that others cars always bump into it when they're coming or going but I didn't have to worry about that here with was a welcome change! This has to be one of the safest places I've ever parked because I've had some pretty crappy experiences in the past with airport parking, so this was a welcome change! FABULOUS price! Paying $6 a day for parking that would cost WAY more at the actual airport made me so happy, and I ended up with much more spending money left over which was so cool. Shuttle bus service was efficient and the driver was lovely! Couldn't ask for anything more! Rain in Miami can get pretty crazy so I parked my car in the indoor parking Best thing I ever did because we actually got a storm while I was away that my car would have been outside for. The whole process was pretty great too because when I got there to leave my car the valet attendant was right there to take my car and park it for me. They helped me get my bags out of my car and even brought it over to where the shuttle bus was going to be. It pulled up and the driver was so nice to me and even loaded my bags onto the bus before heading to the airport. Getting over to Miami Airport was only a few minutes because it's just about a mile away and I got there with plenty of time to spare before my flight. I had so much time in fact I was able to go to Caf�_ Versailles for some amazing Cuban food! The shuttle bus service was really awesome! Even the driver was nice and helped get my bags onto the shuttle, it was great! To get all these extras and amenities here for just $6 a day is amazing! Great lot! Having the valet service was such a nice touch and it made the whole thing a lot easier. All I had to do was pull up and they basically took care of everything else from there. It made the experience a lot more full-service and I didn't have to worry about figuring out a good spot in that huge lot. Being 5 minutes away from MIA airport is really the perfect parking location and I'm glad I chose this spot over the one I had been using before! Such a good lot!